Launching October 12th in the UK, Lionhead Studios recently revealed the first “Fable: The Journey” video documentary, “Telling the Tale.” This vidoc takes “Fable” fans behind-the-scenes with the Lionhead team for an in-depth look at the game’s narrative.The game immerses players in the tale of a young dweller named Gabriel and follows him on a journey to change his fate and become the hero that battles the corruption that plagues Albion. Fans will have a chance to play “Fable: The Journey” before global availability in the first “Fable” Xbox LIVE demo on Kinect for Xbox 360 launching on September 17thworldwide. 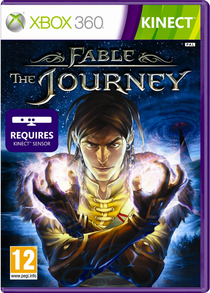 As the first “Fable” title built from the ground up on Kinect for Xbox 360, the game features new territories of an expanded Albion alongside bigger and badder enemies. The game also marks the return of Theresa in her fourth “Fable” game and greatest role as the spark that fuels Gabriel’s magical evolution.